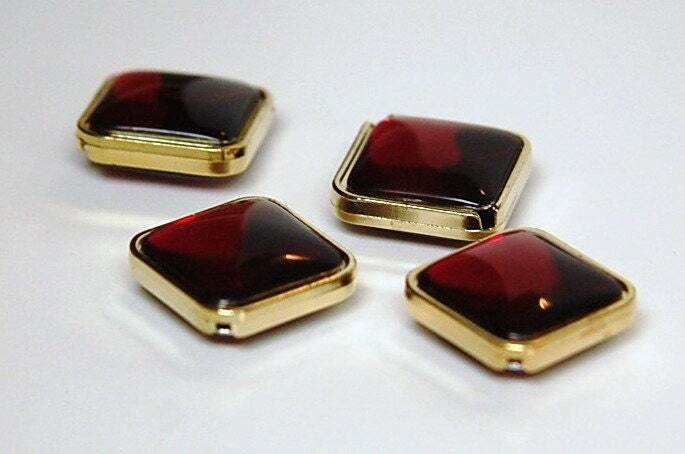 These are vintage channel set beads with a rose ruby red colored cabochon on each side of the bead. The beading hole runs diagonal through the bead. These measure 19mm. You will receive 4 pieces. 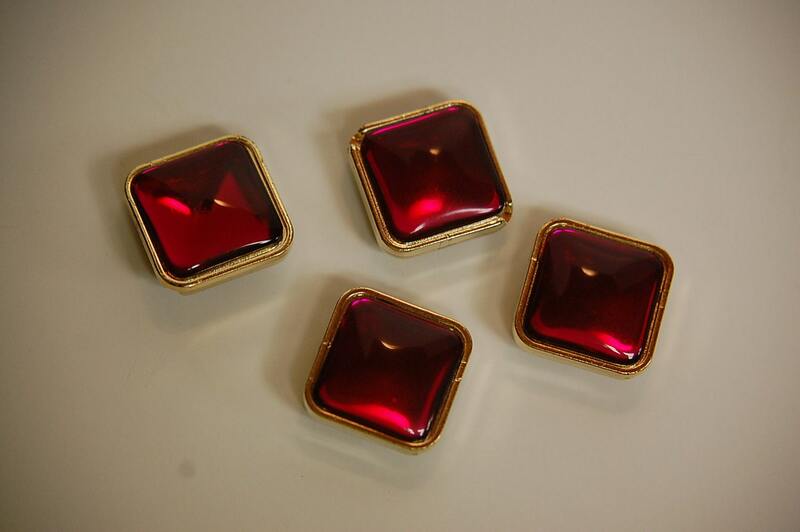 This color is called ruby red but has a rose appearance when viewed straight on. At an angle the color is a darker red.